The house "Everyone wants to see!" First time on market! 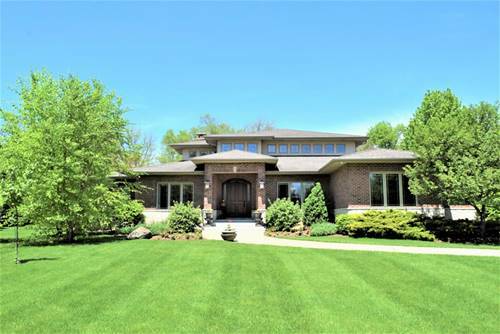 Custom Frank LLoyd Wright inspired Prairie style brick home, nestled in a private culdesac. Open Concept design features perimeter windows surrounding the living areas, allowing for natural light to luminate through, while offering the comfort of privacy. Truly a unique & quality built home boasting 2x6 construction, solid core interior doors, quarter &rift sawn oak flooring throughout, custom mahogany foyer door & dining room entry frame. 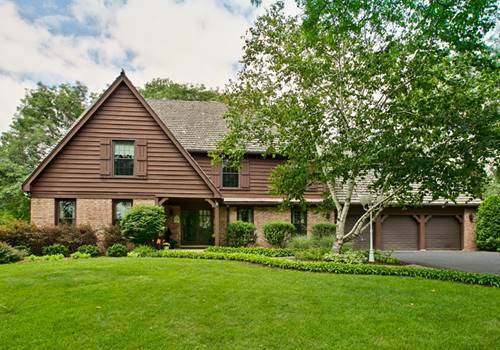 Two-story Great Room features 33' free-span 18' high ceiling & 2-story stone fireplace. Gourmet Island Kitchen features top-line appliances, breakfast room, snack bar, butlers bar & opens to the Great Room. Versatile use 28x14 Loft overlooks the Great Room. Master Bedroom en-suite features a luxury bathroom w/whirlpool tub &separate shower. Guest suite w/private bathrm. 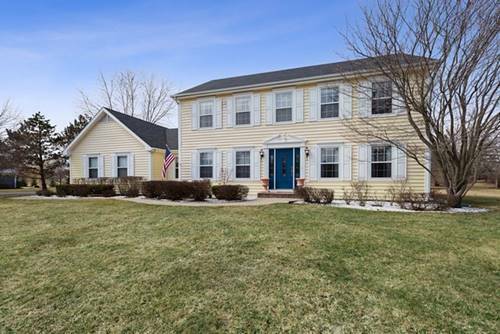 Entertain on the covered patio featuring an outdoor stone fireplace &private backyard. 8' Garage doors! Award winning Schools! 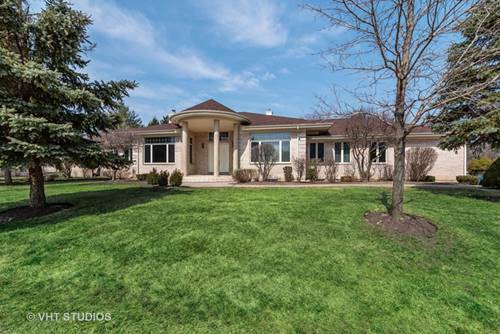 For more information about 1863 Pheasant Run, Long Grove, IL 60047 contact Urban Real Estate.